on milkweed on Aug. 19. 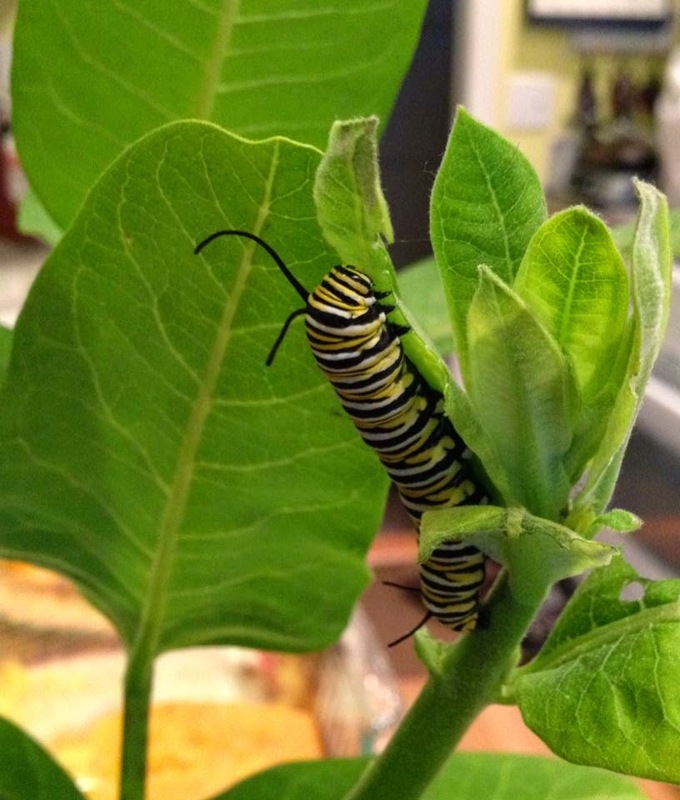 Two weeks ago, I had the opportunity to babysit four monarch butterfly caterpillars for my friend Diane. 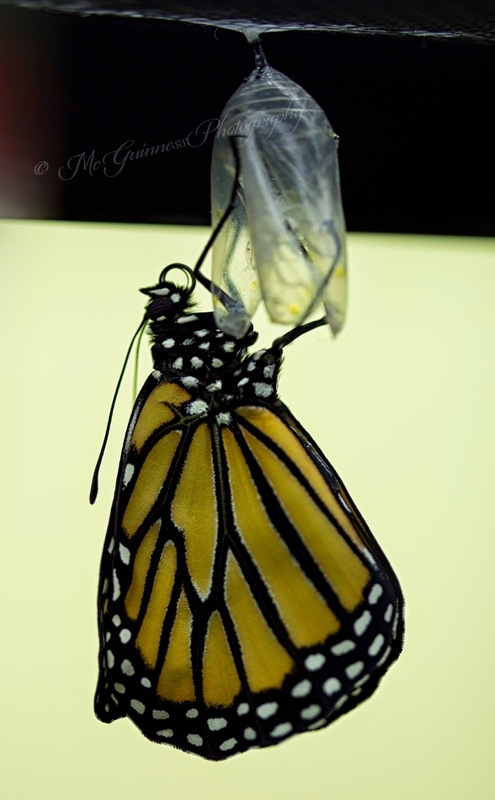 In the past I have reared black swallowtail caterpillars, but monarchs have different needs. First, they dine on milkweed. Second, they have very specific living conditions. In their early stages as a caterpillar, they need to be kept on a clean milkweed leaf that is placed on top of a damp paper towel. This paper towel needs to be changed almost daily for hygiene. The leaves need to be replaced between every 2-3 days to remain fresh. In addition, this paper towel/milkweed leaf combination is kept in a small plastic container with the lid ajar to allow for air circulation and to help keep moisture in. Caterpillar prepares for chrysalis, Aug. 21. 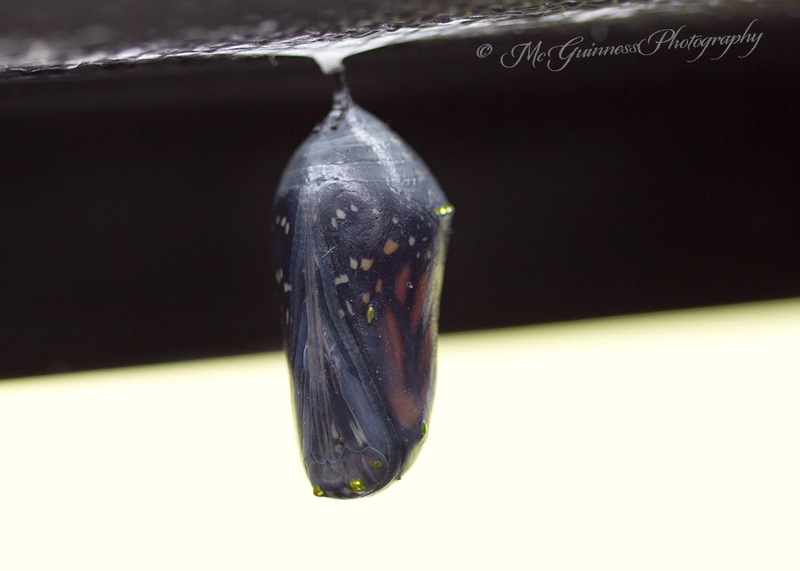 The chrysalis stage of the monarch butterfly, photo taken on Aug. 22. Luckily, my four charges did well under my care. 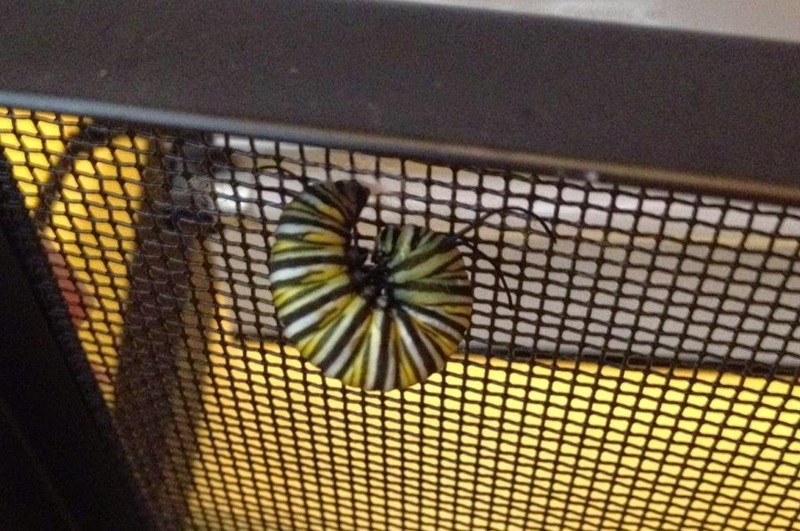 Diane let me keep the first caterpillar that entered chrysalis under my watch (see the photo above). But she took her time in coming out. 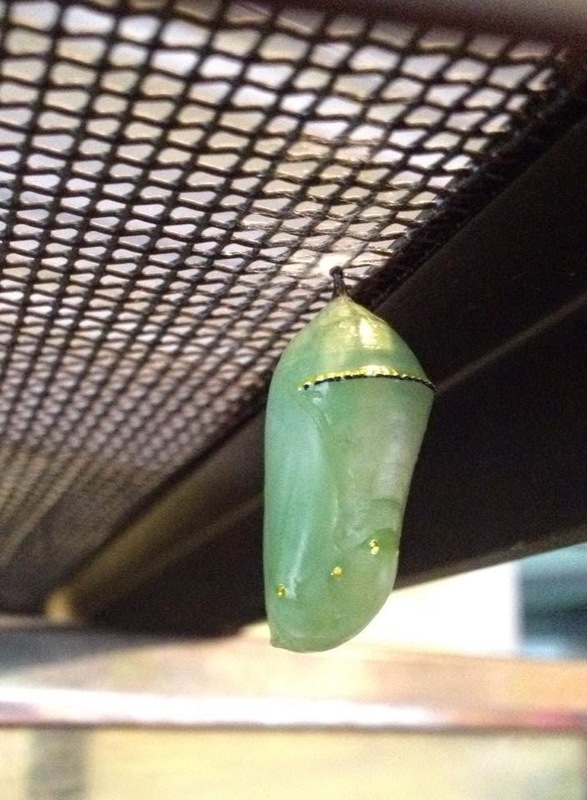 The coloring of her pupa began to lose its green hue last night. It gradually became more transparent as the night went on. The wings were visible inside. Early this morning, the wings were visible. And then, at 12:09 p.m. - magic happened. Learning how to use her wings. then she was on her way. 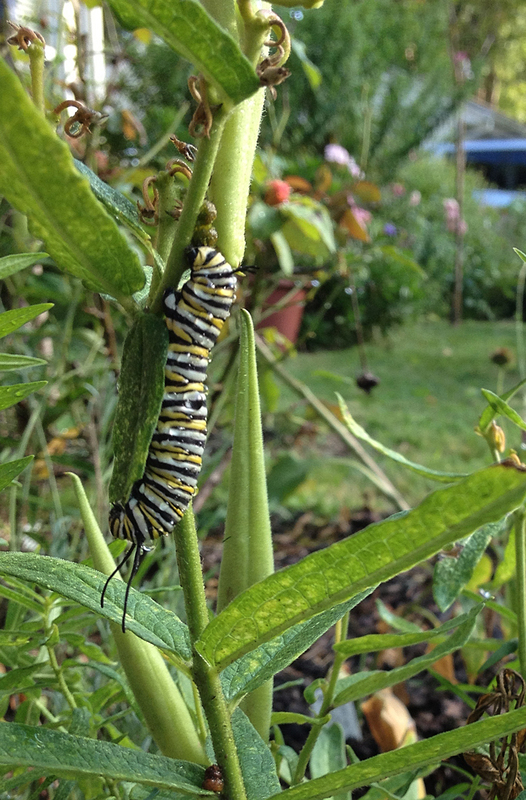 I hope I can find more monarch caterpillars to raise again. It was so much fun to keep an eye on her as she grew. The area where I kept her, under my grow lights, seems empty now. 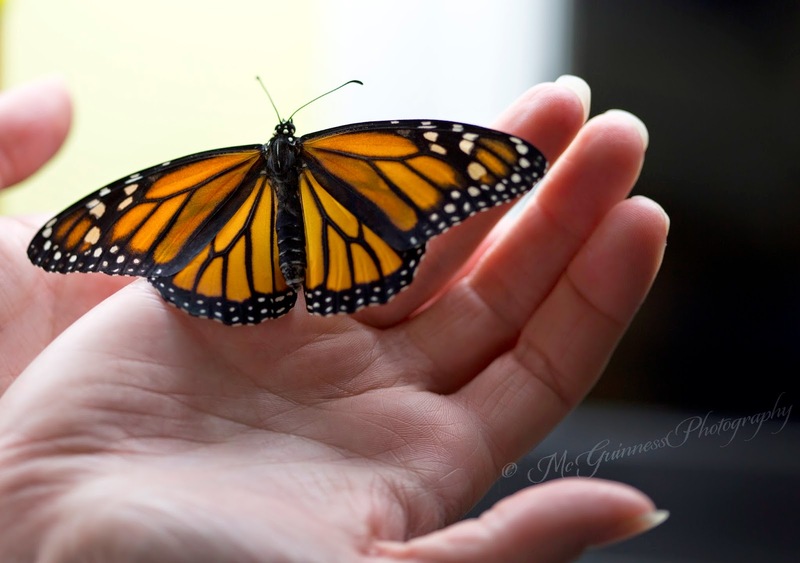 Needless to say, it's important to help monarch butterflies because their numbers have been steadily declining over the years due to increased pesticide use and land development. 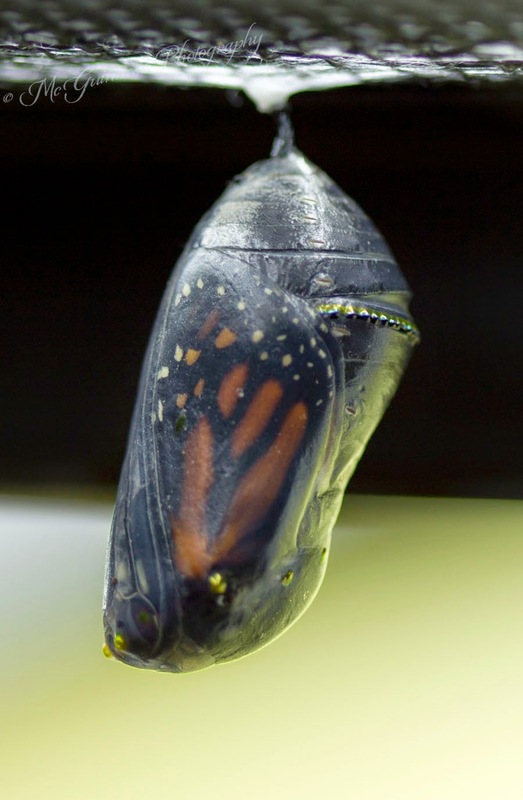 In both cases, the host plant of monarch butterflies - milkweed - has been greatly reduced. 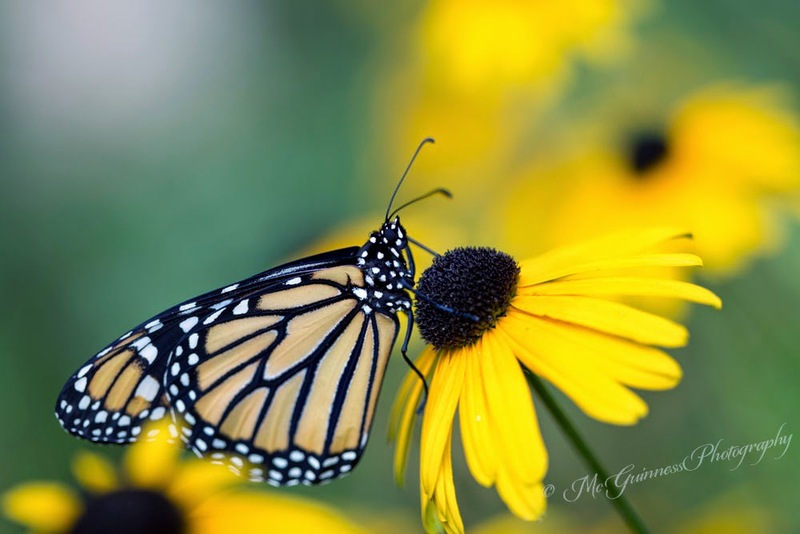 You can help monarch butterflies by not only growing plants that provide nectar, but by growing milkweed and butterfly weed in your garden. These two plants act as host plants for female monarch butterflies to lay eggs on. 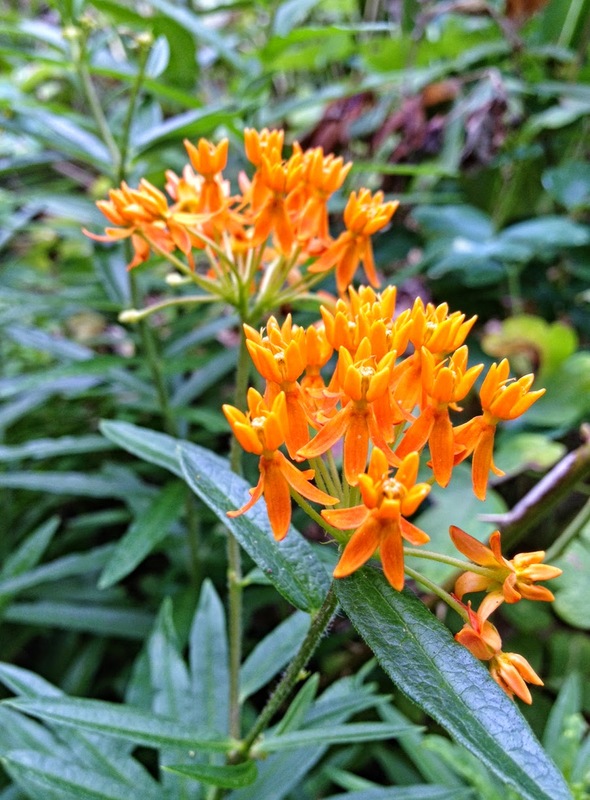 Milkweed is the preferred plant, but I have seen monarch caterpillars settle for butterfly weed in the past, as seen in the photo below from September 2012.